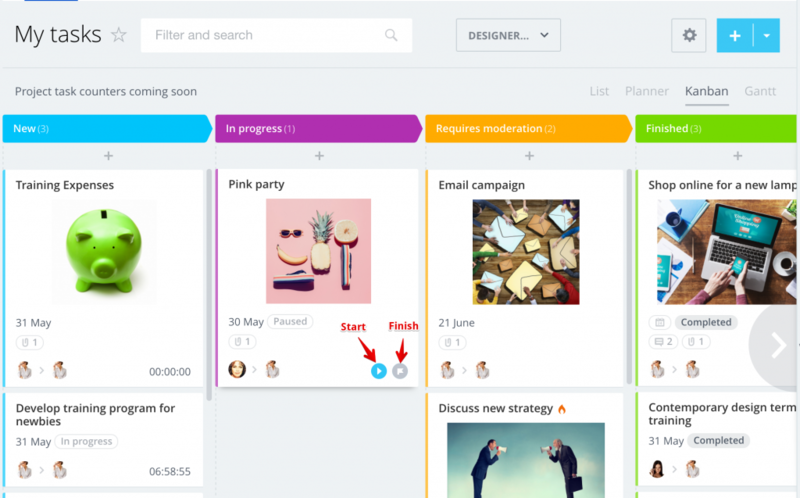 Bitrix24 Kanban for Projects - is a tool that will help you manage your projects! 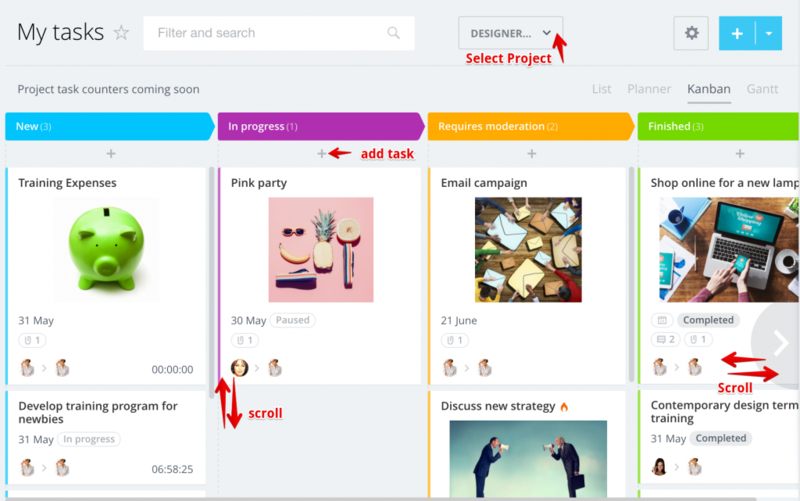 Unlike Task Planner, Kanban in Bitrix24 is created especially for projects (workgroups). Project visualization: control flow & manage workload for each stage. Project board organization: group task cards logically the way you need. Customization for each project: create custom stages suitable for each particular project - stages number, names, colors & order are fully customizable. 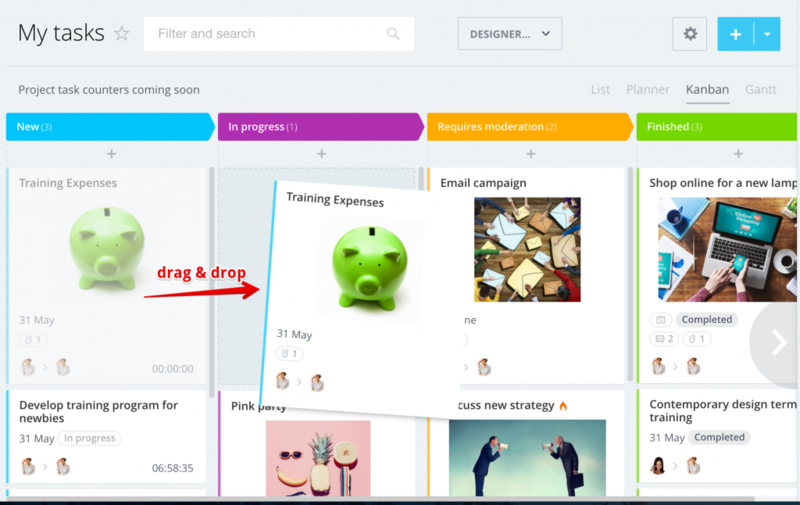 Convenient project navigation: scroll, drag & drop to reorder or move project tasks to a different stage. Quick actions for tasks: add new tasks, start or finish tasks, set deadlines directly inside the board - no need to open each task form. Easy switch between projects boards: special project tab above Kanban board allows to switch to another project board in one click. New search & filter options are available above each Kanban board. Switch between default tasks statuses or apply filters to your board. 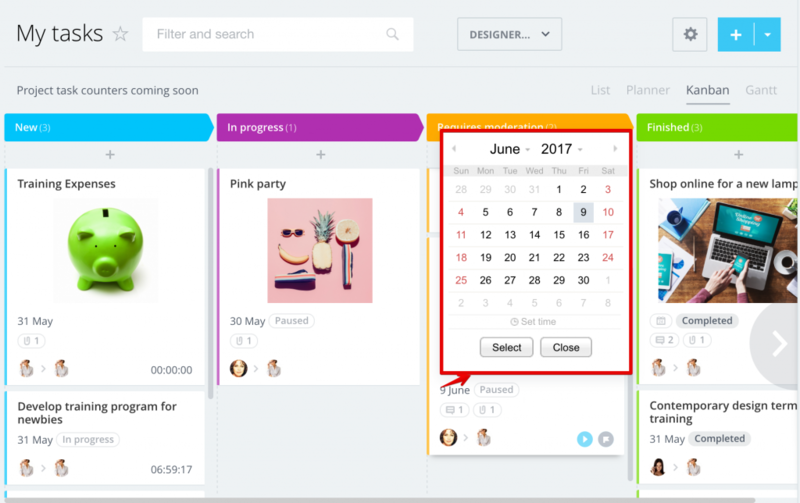 Smart Kanban - the system will automatically show you the last project you have visited when you open Kanban view in Tasks. Please note that Kanban for Projects does not take into account tasks deadlines. 1. Stages: add new project stages (plus icon), customize stage name (pencil icon) & color. Drag & drop stages to reorder. 2. New tasks: add new tasks via plus option below each stage. 3. Deadline: set or change task deadline right from the Project Kanban board (click on task card calendar icon). 4. 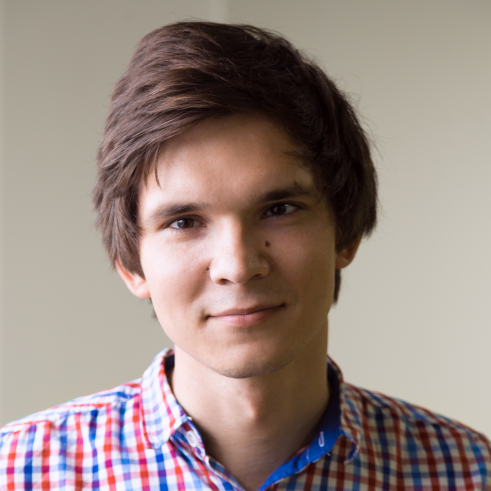 Involved users: change project task responsible user or creator. 5. Start & Finish: start & finish task tabs are available inside each task card. 6. Move tasks: drag & drop task cards between stages (horizontally) or reorder them within the same stage (vertically). 8. Filters & Search: new smart search & filters are now available in tasks as well. Use default tasks filters (overdue, In progress, Deferred, etc.) or configure own filter conditions. You can use both filter & search together.